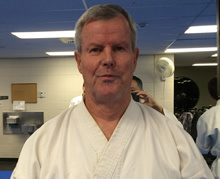 Dave Marlow: Dave started martial arts practicing Shotokan karate and Muay Thai. He became a student of Aikido with Rocky Mountain Aikikai in 1994, he holds the rank of Yondan (4th degree black belt). He retired from the Colorado State Patrol and is currently a commercial Pilot. He and his wife Debra are the proud parents of three children. Hobbies include mules, ranching, honey bees, camping, hunting, fishing, flying, and the guitar. 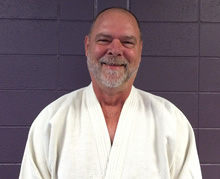 Geoff Goodman: Geoff began his practice of martial arts while stationed overseas with the U.S Air Force. He practiced Shotokan karate and Hakkoryu jujitsu in Japan and taekwondo while in Vietnam. He has been practicing Aikido with Rocky Mountain Aikikai since 1985, where he has achieved the rank of Nidan (second degree black belt). He also practices and teaches the Chinese art of Gigong, a system of physical exercises for wellness and healing. Geoff is retired from the U.S. Air Force and from the U.S. Department of Homeland Security. He is married and has a son, a daughter and two grandsons. 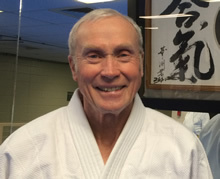 John Vertovec: John Vertovec began his Aikido training in 1978 and achieved the rank of Godan (5th degree black belt) in 2001. 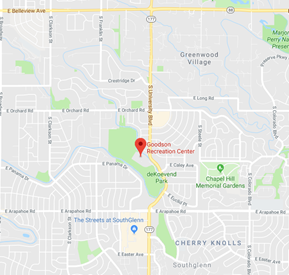 He has been an instructor since 1984 including 6 years as a police self defense and arrest control trainer for Denver area academies and departments. He has also developed tactical awareness programs for 1st responders and the Fire and Emergency Television Network. John brings a pragmatic and practical approach to his classes. He enjoys outdoor activities and traveling with his wife, Jo. He has two sons. Schedule: Classes are every Tuesday and Thursday from, 7:00 P.M. until 8:30 P.M.
Come join us! Click Here to contact us for more information.